Balfour Collegiate is one of the oldest high schools in the Regina Public School Division, opening in 1930. All of the original building is still in operation. 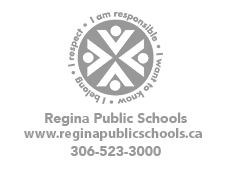 The school served as Regina's technical school from 1930 until 1983 when the school underwent a major change in focus. Students at Balfour Collegiate are enrolled in grades 9 to 12 classes. Forty-five teachers are responsible for teaching and learning. Professional support staff include administration, a resource center specialist, a guidance office, Aboriginal Advocates and Elders, a school resource officer and learning resource teachers. We work to build a Professional Learning Community that is characterized by shared purpose, collaborative activity and a collective responsibility among staff. Our total enrollment is 699 students. In addition to the regular program, Balfour provides Advanced Placement courses in Studio Art, English, Math, and Psychology. Special programs are delivered for English as an Additional Language Program and Balfour Shirley Schneider Support Center Program (teen pregnancy and parenting program). The Aboriginal Advocacy Co-coordinator works hard to best meet the needs of students. As well, we offer an extensive extra-curricular program that enables students to experience the arts, athletics and recreation outside of the classroom environment.